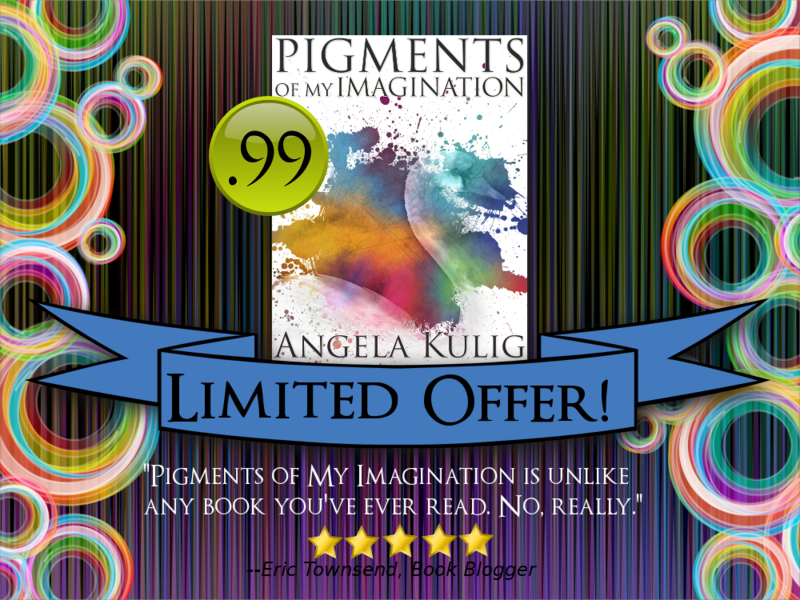 Angela Kulig: Pigments of My Imagination is on SALE for a Limited Time. Pigments of My Imagination is on SALE for a Limited Time. Click on the image to purchase for Kindle. Also Available for .99 at Barnes & Noble and Kobo. Want to win an autographed, limited edition Pigments of My Imagination? Read this post and leave love.